Heritage is an active adult community in Indian Trail, North Carolina. Upon completion, 55+ homebuyers will have 340 homes to choose from, all offering customized floor plans and a low-maintenance lifestyle. The community's close proximity to Charlotte is just one of the many perks that Heritage has to offer. 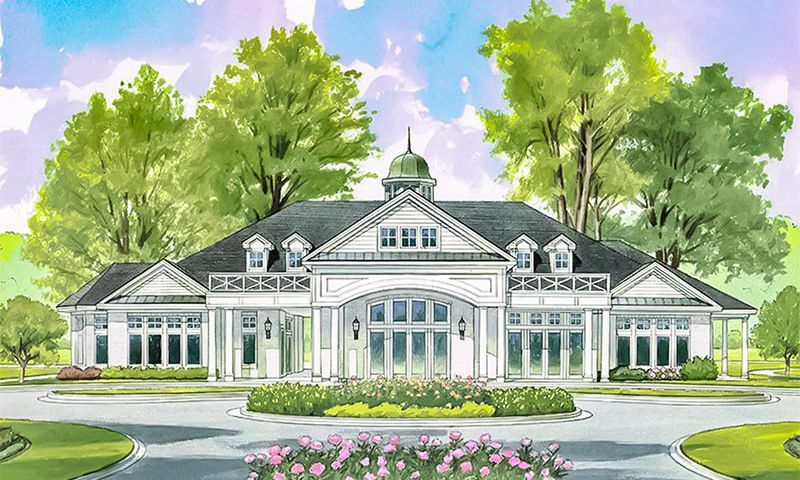 Heritage's clubhouse will feature classic amenities such as ample space for gathering with friends, a fitness center, game room, grand hall for events, and an arts and crafts room. Outside, residents will find a resort-style pool complete with patio and outdoor bar. The Heritage homeowners' association will provide a low-maintenance lifestyle for all residents by covering exterior and common area maintenance. Residents can save their energy to enjoy the community’s amenities or explore the Charlotte area. Heritage will offer both single-family and attached homes. While attached home models are yet to be announced, single-family homes will range from 1,738 to 2,611 square feet. Six unique floor plans will include three to five bedrooms and two to three bathrooms, spread across one- or two-story plans. All homes will also include an attached two-car garage, extra storage spaces, and a pass-through from owner's suite to a laundry room. Homebuyers will be able to add features such as a sunroom, screened-in porch, flex room, or office space. Heritage is located in Indian Trail, North Carolina, approximately 10 miles southeast of Charlotte in Union County. This suburban town puts residents in easy reach of daily needs and fun opportunities. Residents will find a Food Lion, Harris Teeter, Adli, and Walmart Supercenter, as well as several fast-serve food options, all within a few minutes drive of the community. It's also close to U.S. 74, which is peppered with national chains and retail stores like Lowe's, Dollar Tree, Walgreen's, Olive Garden, and Chili's. Every Fourth of July, Indian Trail holds an annual parade which is one of the biggest parades in the Charlotte area. Golfers will find multiple courses to play nearby, including Pebble Creek Golf Course and Rolling Hills Country Club. There are also multiple greenspaces and parks close to the community, giving residents ample opportunities to explore nature. Charlotte is a convenient 20-mile drive away from Heritage. Residents can easily access everything the city has to offer. For bigger trips, Charlotte Douglas International Airport is easily accessible via U.S. 74. Check back soon for more information on the lifestyle in Heritage. 55places.com is not affiliated with the developer(s) or homeowners association of Heritage. The information you submit is distributed to a 55places.com Partner Agent, who is a licensed real estate agent. The information regarding Heritage has not been verified or approved by the developer or homeowners association. Please verify all information prior to purchasing. 55places.com is not responsible for any errors regarding the information displayed on this website.